A4/S4 8E B6 B7 2001-2008. AUS un Audi A4 8E B6 Mod. RS4 convertible 8 H B7 2007-2009. A4/S4 Cabrio 8 H B6 2003 2006. para el indicador de combustible. Todavía hay muchas más partes de Audi en la acción. Depósito de la bomba de combustible AUDI A4 B6 8E0906087P 1.8 Gasolina NUEVO GENUINO. Título - Depósito de la bomba de combustible AUDI A4 B6 8E0906087P 1.8 Gasolina NUEVO GENUINO. Manufacturer Part Number 8E0906087P. AUDI A4 B8 1.8T FSI. 1.8T FSI FUEL TANK SENDER UNIT PUMP. AUDI A4 B8 SALOON 2009 S-LINE. REMOVED FROM VEHICLE PART NUMBER -. NS is Nearside, Left, or the passenger side in the UK. OS is offside, right, or drivers side in the UK. REMOVE FROM AUDI A4 B7 2.0 TDI ,ESTATE 2005 YEAR,140 BHP,6 SPEED MANUAL GEARBOX HCF,ENGINE CODE BLB,PAINT CODE LY7G GREY. MY AIM IS TO MAKE SURE YOU ARE ALWAYS 100% HAPPY! IN WORKING CONDITION AS SHOWN IN THE PICTURES ABOVE. AUDI 8K0919673A. VW 8K0919673A. AUDI A4 (8K2, B8) 2.0 TDI Saloon Diesel 11/2007 12/2015 FWD 16 143 105. AUDI A4 (8K2, B8) 2.0 TDI Saloon Diesel 11/2007 12/2015 FWD 16 136 100. AUDI A4 (8K2, B8) 2.0 TDI Saloon Diesel 01/2008 03/2012 FWD 16 170 125. Verkauft wird der Geber rechts. und Diesel- oder Benzin-Motor. Räder / Reifen. A4/S4 8E B6 B7 2001 - 2008. RS4 Cabrio 8H B7 2007 - 2009. A4/S4 Cabrio 8H B6 2003 -2006. aus einem Audi A4 8E B6 Mod. für Fahrzeuge mit Quattro-Antrieb. AUDI A4 B8 / A5 8T 2.0TDI '08-'13 IN TANK FUEL PUMP SENDER UNIT 8K0919050H VIEW ALL IMAGES FOR ITEM CONDITION - PLEASE ENSURE YOU ARE 100% HAPPY WITH THE ITEM CONDITION PRIOR TO PURCHASE *PLEASE NOTE*: THE COMPATIBILITY TABLE IS FOR REFERENCE ONLY AND NOT A GUARANTEE THE PART WILL FIT YOUR VEHICLE. IF YOU'RE IN DOUBT SPEAK WITH YOUR MECHANIC AND COMPARE THE PART NUMBER (WHERE APPLICABLE) OR CONTACT US BEFORE YOU ORDER TO AVOID UNNECESSARY RETURNS IN THE INSTANCE OF A RETURN - PLEASE BE AWARE ALL OUR ITEMS HAVE THIER OWN SIGNATURE MARKINGS - PLEASE ENSURE ONLY THE ORIGINAL PART IS RETURNED AS WE WILL BE ABLE TO IDENTIFY ANY PART THAT IS NOT OURS. Original Audi A4 8E B7 1.9 TDI 85KW Bj.2007 Tankgeber. Removed from a 2008 Audi A4 2.0 141Bhp - 4 Door Saloon - Diesel - 6 Speed Manual - Engine Code CAGA. Fuel Tank Sender and Pump Unit. A4 2008 To 2011. Manufacturer Group. Volkswagen Group. Model Group. AUDI A4 2003. IN TANK FUEL SENDER UNIT. P/N - 8K0919050H. AUDI A4 B8 A5 2.7 / 3.0 TDI 2008-2013 FUEL SENDER UNI TANK. MODEL A4 B8 S-LINE. ENGINE 2.7 TDI CGKA 140KW. ITEM CONDITION. MILEAGE 86K. PAINT COLOR WHITE LY9C. AUDI A4 B6 2.5 TDi V6 2001-2004 FUEL SENDER UNIT 8E0201317 N / 220801013 ,AS PICTURED. MAKE AND MODEL: AUDI A4 B6 2.5TDi QUATTRO, 5 DOOR SALOON. ENGINE: 2.5TDi (2496cc) DIESEL. THE PART WAS REMOVED FROM. Audi A4 S4 Quattro 8E 8H Tankgeber rechts 8E0919673AG. 2007 AUDI A4 B7 S LINE SALOON 2.0 TDI BRE FUEL PUMP IN TANK FUEL SENDER 8E0919050AC. Channel Islands. USED PART so do not expect IDEAL AS NEW. Will ask for proof/invoice of work done by specialist in cases of claims. P/N 8K0919050P. AUDI A4 2013 MODEL 2.0 LITRE TDI. FUEL SENDER UNIT. 5 DOOR ESTATE. AJ SPARES is a large independent Vehicle Dismantlers. AJ SPARES LTD. INTERIOR CODE - N5W/FZ. PAINT CODE - LS9R GLACIER WHITE. 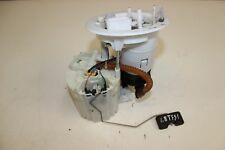 In tank fuel pump and sender, tested and in full working, removed from a B7 3.2fsi Cabriolet, also fits some 4.2 cars, please check part number matches yours before purchase. Postage quoted for mainland UK only excluding Scottish Highlands, please email me for quotes outside this area. Collection welcome. Removed from a 2003 Audi A4 1.9 99Bhp - 4 Door Saloon - Diesel - 5 Speed Manual - Engine Code AVB. Fuel Tank Sender and Pump Unit. A4 2001 To 2005. Manufacturer Group. Volkswagen Group. Model Group. “Great Bridge Parts” has high reputation for both quality and service and believes itself to be the market leader in vehicle recycling in West Midlands. 2006 AUDI A4 B7 ESTATE 2.0 TDI BRE FUEL PUMP IN TANK FUEL SENDER 8E0919050D. Channel Islands. USED PART so do not expect IDEAL AS NEW. Will ask for proof/invoice of work done by specialist in cases of claims. AUDI A4 B9 2016. 2.0 TDI DIESEL FUEL TANK SENDER UNIT. 2.0 TDI MANUAL TRANSMISSION. REMOVED FROM VEHICLE PART NUMBER -. CURRENTLY DISMANTLING COMPLETE VEHICLE. NS is Nearside, Left, or the passenger side in the UK. AUDI A4 B8 / A5 8T '08-'13 2.0TDI IN TANK FUEL PUMP SENDER UNIT 8K0919050P VIEW ALL IMAGES FOR ITEM CONDITION - PLEASE ENSURE YOU ARE 100% HAPPY WITH THE ITEM CONDITION PRIOR TO PURCHASE *PLEASE NOTE*: THE COMPATIBILITY TABLE IS FOR REFERENCE ONLY AND NOT A GUARANTEE THE PART WILL FIT YOUR VEHICLE. IF YOU'RE IN DOUBT SPEAK WITH YOUR MECHANIC AND COMPARE THE PART NUMBER (WHERE APPLICABLE) OR CONTACT US BEFORE YOU ORDER TO AVOID UNNECESSARY RETURNS IN THE INSTANCE OF A RETURN - PLEASE BE AWARE ALL OUR ITEMS HAVE THIER OWN SIGNATURE MARKINGS - PLEASE ENSURE ONLY THE ORIGINAL PART IS RETURNED AS WE WILL BE ABLE TO IDENTIFY ANY PART THAT IS NOT OURS. Audi A4 B7 Cabriolet 2.0 TFSI Fuel pump sender unit. Condition is Used. Dispatched with Other Courier (3 to 5 days). A4 2012 To 2015. Removed from a 2012 Audi A4 2.0 134Bhp - 5 Door Estate - Diesel - 6 Speed Manual - Engine Code CJCB. Fuel Tank Sender and Pump Unit. Manufacturer Group. Volkswagen Group. Model Group. PETROL PASSENGER SIDE IN TANK FUEL SENDER UNIT 8E0201317. PART NUMBER: 8E0201317. PART TYPE: PETROL PASSENGER SIDE IN TANK FUEL SENDER UNIT. FUEL TYPE: PETROL. 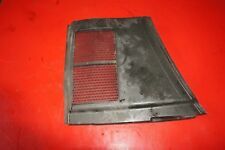 This item has been removed from a: 2001 AUDI A4. Oder suchen Sie einen Besonderes Fahrzeug, Sondermodell/Ausstattung. Zudem beraten wir Sie gern rund um das Thema Import. ob neu oder gebraucht, und das zu besten Preisen. der Identifikation der Fahrzeuge und -oder Fahrzeugtypen. OUR AIM IS TO MAKE SURE YOU ARE ALWAYS 100% HAPPY! IN GOOD, WORKING CONDITION AS SHOWN IN THE PICTURES ABOVE. WHAT YOU SEE IN THE PICTURES IS WHAT YOU WILL RECEIVE! AUDI A4 B8 2.0 TDI AUTOMATIC FUEL SENDER UNIT. ITEM IS USED BUT IN FULL WORKING ORDER. PART NUMBER 8E0201317N. IF THERE ARE PART NUMBERS IN THE ADVERT, THEY'RE THERE FOR A REASON. THIS MUST BE CHECKED PHYSICALLY AGAINST THE PART YOU ARE REPLACING. IF IT DOES NOT MATCH THEN IT IS MORE THAN LIKELY WILL NOT WORK ON YOUR CAR. AUDI A4 B7 1.8T PETROL IN TANK FUEL PUMP SENDER. GLASS AND BODY PANELS. SECURITY MARKS. Von einem Audi A4 8E B7. Biete den auf dem Bild zu sehenden originalen. Audi A4 3.0 TDI Typ: 8EC. Ersatzteile werden vor dem Ausbau auf seine Funktion überprüft ! Autoverwertung Helmut Giesen bietet an Stoßstangen: H 1. Heckklappe: H1/2A. Kotflügel: H3/1v.